I recently sent an email to the owner of my first blog crush. Her blog was the very first nail polish blog I discovered back in 2009 and her blog not only influenced me to purchase many number of polishes, but also inspired me to start blogging. 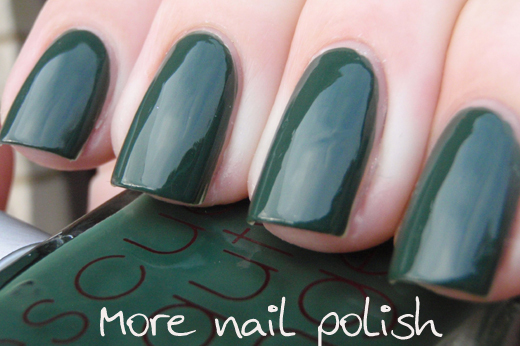 The blog I'm talking about is The Polish Addict. She stopped blogging in 2009 around the time she sat the Bar exam and I can completely appreciate real life becoming way more important than nail polish and blogging. But I nearly peed my pants when I discovered that she was back blogging early last month. Anyway, I sent an email to Steph, who turns out is just the most lovely person. I professed my nail crush and thanked her for being my inspiration. Knowing her blog well, I also knew she was a green polish lover, so I wanted to send her a bottle of Kryptonite as a thank you and a welcome back to blogging gift. While she was happy to receive a bottle of Kryptonite, she suggested we do a swap of her RBL creation for my PP creation. I think my response was something like "Oh my freaking god are you shitting me, I would seriously die to get a bottle of Orbis Non Sufficit via the creator" - or something like that. Anyway, a few weeks later this little baby arrived. My first Rescue Beauty Lounge polish. Orbis Non Sufficit. I have not wore a smooth glossy simple creme polish in god knows how long. It was such a fantastic change from crazy shiny glitter and shimmer. This is one coat - yep, just one coat over a PVC glue base (cause you just know I'm a glitter hoe and this is the perfect base for glitter). Did somebody say glitter? I had no idea what to wear Lynnderella Pentimento over, but the moment I put on RBL Orbis Non Sufficit I knew it was the perfect base. 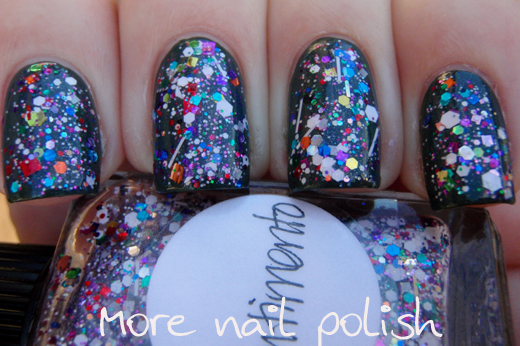 This is one coat of Pentimento over Orbis, topped with Glitter Tamer and Seche Vite. 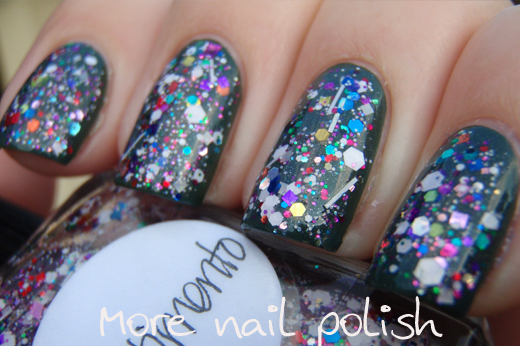 I really wasn't convinced that I liked Pentimento from looking at it in the bottle. It has a pinkish sheen and a really crazy mix of glitters. On the nail it completely blows me away. SOOOOOOO much better than I thought it would be. 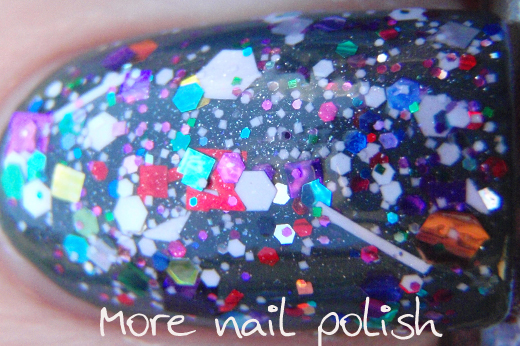 Perfectly behaved glitters, laying flat and smooth - even those white bars! This combo is still on my nails. LOVE!! Thanks - stupid ipad autocorrect, it gets me all the time! * maybe, sorry for typo. What a lovely story with Steph! And ONS is the hotness on you! As is Pentimento which was one of my surprise favourites too! Lol! 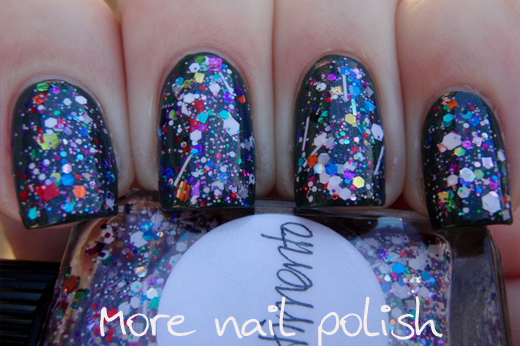 You're a hoot, I found you via Bloglovin' and now I'm going to have to go check out The Polish Addict too! I am so loving this Lynn! Congrats! I'm excited for you! 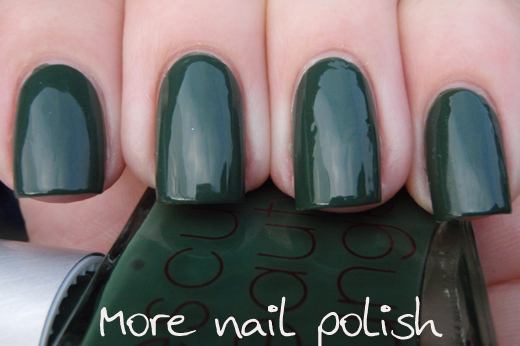 Haha, that polish looks absolutely fantastic - I can't believe it's one coat! Nice. Some times nails can be a work of art. Oh my congratulations, I myself wanted RBL so bad. Such a rich and regal shade of green. Steph is so lovely, what a great gift! I am so glad to see her blogging again! ONS looks amazing on you! 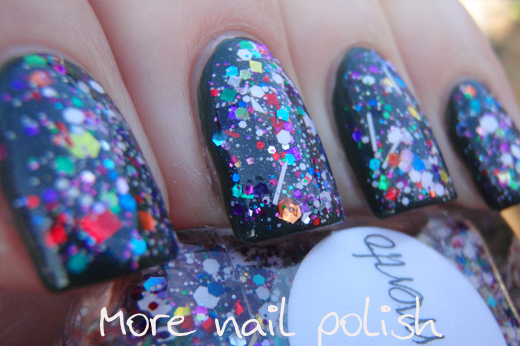 Lovely swatches... Do some of your earlier Lynnderella's have Lynnderella on the bottle? I recently ordered some and some of mine have names and others don't. Your lovely swatches helped me pick which polishes to order!